ASEAN member states have achieved remarkable progress in the last few years in reducing intra-regional tariffs and creating one of the largest common markets in the world through their Free Trade Agreement. In particular, import taxes on automobiles have seen huge reductions from 50 percent in 2015 to 30 percent in 2017. From 2018, this will be reduced further to zero percent for Completely Built Units (CBU), posing a major challenge for domestic manufacturers, who are already facing intense competition from neighboring countries such as Thailand and Indonesia. A CBU unit is a vehicle completely manufactured in one country, which is then imported as a whole unit. 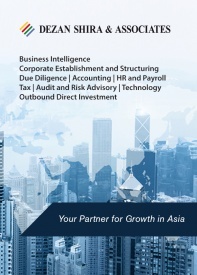 ASEAN is Vietnam’s fourth largest export market after the United States, EU, and China. As per the ASEAN FTA, Vietnam has already cut 6,900 tariff lines, or 72 percent of all tariff lines, to zero percent in 2014. It reduced more than 1,700 other lines to zero percent in 2015. 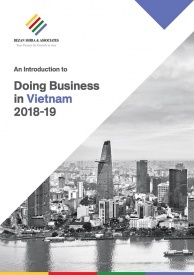 By 2018, Vietnam is committed to remove all import tariffs, which can increase the import of CBU’s from manufacturing hubs such as Thailand, Malaysia, and Indonesia. In the first 10 months of 2017, Vietnam’s exports to ASEAN member states increased by 26.8 percent to US$ 18 billion, while imports increased by 19 percent to US$ 22.8 billion. 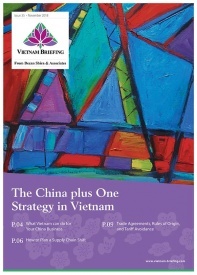 Vietnam is the third largest importer of ASEAN goods, after Korea and China. Vietnam is majorly an automobile assembly hub, rather than a manufacturing one, unlike Thailand and Indonesia. 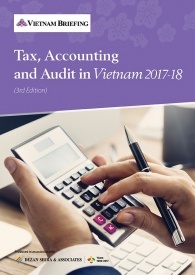 Due to the absence of a supporting industry, the cost of manufacturing a car in Vietnam is about 20 percent higher than neighboring countries which compels the domestic manufacturers to import almost 60 to 80 percent of components. In addition, such imports reduce the localization rate of domestic manufacturers, which currently stands at around 10 percent, while the ratios in Thailand, Malaysia, and Indonesia are as high as 85, 80, and 75 percent respectively. While 2016 automobile sales in Vietnam hit a 20-year record high with 304,427 units, sales in the first 11 months of 2017 reduced by 10 percent year on year, to 244,670 units. The reduction has been attributed mostly to consumers waiting for reduced prices of imported cars from January 2018. Manufacturers believe that the tariff cut to zero percent from 2018 will make the market more competitive and be a major challenge for domestic manufacturers. Imports are predicted to increase by 30-40 percent, while the annual revenue loss to the government is being estimated at US$ 195 million (VND 4.4 trillion). Automobile prices are estimated to decrease by 10-15 percent for older models and 5-10 percent for newer models. However, on the contrary, some industry experts believe that imported car prices may rise due to a reduced supply, while the prices of domestic vehicles will see no change. Once the reduced import tariffs are in place, we will have further clarity in the price fluctuations in the industry. Local manufacturers need to reduce manufacturing costs to remain competitive with CBU vehicles from ASEAN countries. 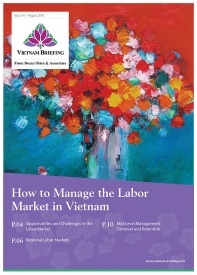 As of now, the cost of manufacturing in Vietnam is about 20 percent higher than neighboring countries. In addition, the government has to reduce the import taxes on complete knock-down (CKD) components along with other incentives to ensure that the local auto and support industries remain competitive. CKD vehicles are assembled locally from imported components. However, in doing so, the government has to ensure that firms do not take undue advantage of such reductions without taking localization rate or the development of the supporting industries into consideration for a sustainable growth. 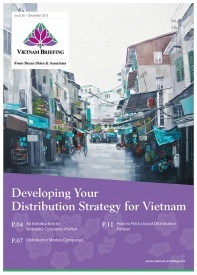 Without a concrete plan to develop the supporting industries in the country, Vietnam may follow Philippines, which has a long history of automobile production but has suffered in the recent times due to policy inconsistencies, lack of local supporting industries, and competition from CBU imports due to reduced tariffs.